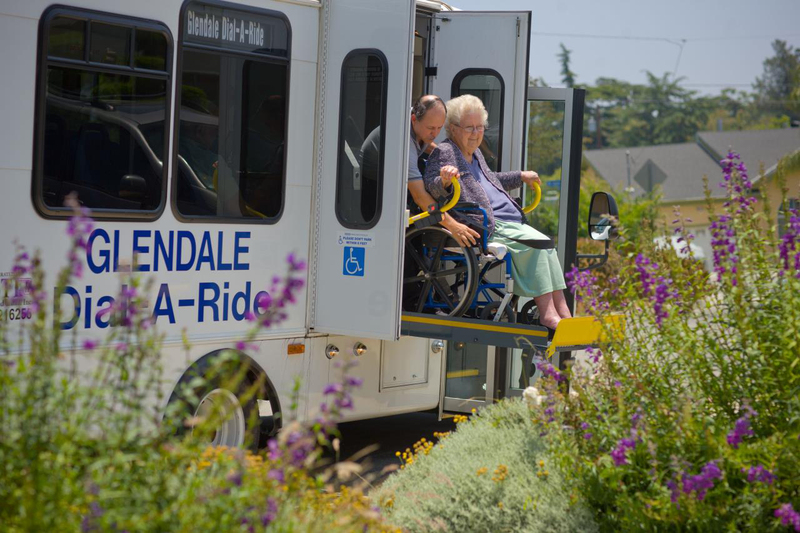 Glendale Dial-A-Ride is a curb to curb transportation service made available by the City of Glendale to its residents who are 65 years of age or older. Disabled residents of any age are also served. Certification of disability from a doctor is required if resident is under 65 years of age. Dial-A-Ride vehicles travel anywhere within the city and county areas of Montrose, La Crescenta, and within the cities of Glendale and La Canada-Flintridge. Registrants may book trips for both medical and non-medical purposes. To assist shoppers, drivers will carry up to two standard-sized grocery bags or department store packages.